Fifty/Fifty water bottles are double-wall vacuum insulated stainless steel drink containers manufactured using lightweight 18/8 stainless steel that is recyclable and non-leaching. These bottles do not retain taste or odor, so you can enjoy a pure experience as you consume your favorite beverages. 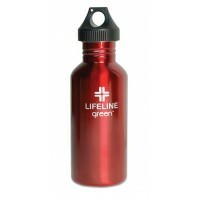 Available in a variety of sizes from 18oz - 64oz, Fifty/Fifty water bottles come in a variety of different color options and keep liquids either cold or hot all day long. Their double-wall technology prevents condensation on the outside of the bottles, so you donâ€™t have to worry about getting water on your clothes while youâ€™re on the go. While you can use them for anything, these bottles are ideal for parties, backyard BBQâ€™s, hiking, trips to the beach, picnics, outdoor concerts, camping trips and ski or snowboard outings. 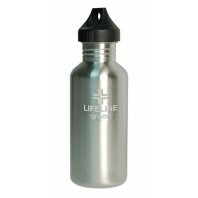 Discount Filter Store also offer water bottles from Klean Kanteen, Tier1, and Katadyn.